We had the same issue with out 2011 Delta TI blind and we have had all three in front replaced, plus the kitchen and toilet blinds. If you complained to the dealer at any time about sticky blinds while it was under warranty and they did nothing, then claim it under warranty even thouhg the warranty may be finished. Did you buy from a national chain of dealers? We still have one sticky blind in front and have used Theford silicone spray which did help a bit for a short while, however we have found that using a furniture polish with beeswax was better. They cannot be loosen on the 2011 model. I have recently bought a 2011 Lunar Clubman SB and had trouble with the two outer concertina blinds at the front of the van. These were nearly impossible to pull up or down. On inspecting the blinds the runners on the blinds were coming out of the side channel and consequently twisting in the frame. This seemed to be a known fault and my dealer fitted small bracket either side of the blind pushing the vertiacl sides in thus keeping the blinds in their runners. I have had no problems since. The very neat small brackets were courtesy of Bailey. All of my blinds had the same issue - the dealer fixed it with very short pins to fix the middle part of each guide in position. The Seitz blinds are German but not their best engineering! Silicone spray lubricant is ideal for almost everything. Tried sprays etc but it will not stop the blind coming out of the runners. No - the guides need pinning in position. 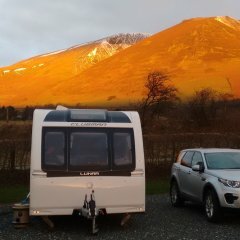 Have you had the caravan since brand new and had it serviced every year. If so, claim under warranty for the work as it is a known fault. If dealer objects politely mention Sale of Goods Act and the fact that it is an inherent fault. If the dealer is Chichester Caravans I will happily support the fact that it is an inherent fault as they will have records for our caravan regarding blind repairs and replacement. The more we are using the caravan the more the blinds are becoming stickier. Looks like they will all need to be replaced! The little blind in the door has died as well! That said, still love the van and no other great problems. Did you pin them as suggested? Our old 2011 Clubman used to suffer from the blinds being difficult to pull down. Ours used to catch on the window rubbers. The dealer fitted spacers behind the tracks which made them work better. Just checked and the blinds are not fouling the window rubbers. Still looking for a solution! I had a couple of sticky blinds/flyscreens and after much massing about found the outside track was not parallell to the blinds, they tapered in at the bottom, so the further the blinds/flyscreens came down the stickier/tighter they got. Moved them over and it did the trick. The track covered the original holes which I filled with a tiny blob of white sealant. Didn`t need it, but that`s me. Nope, not this problem either. Will see what the dealer says when we get the caravan to them next month. Interests:Scuba Diving, Travel, Steam, Photography. My front blinds need quite a tug to start then closing but seem ok after that! Reading all this though I'll go check again. I did have to have the front left re-positioned since not level but that's not changed the difficulty in the initial pull down! All blinds being replaced under warranty. Dealer said they hadnt seen this problem before on a Lunar. What nonsense the dealer is sprouting as it is a common fault across all brands on caravans from about 2008 up to 2012 fitted with these blinds. The tension in two of my floodlights have broken too lunar lexon where do you get replacements?